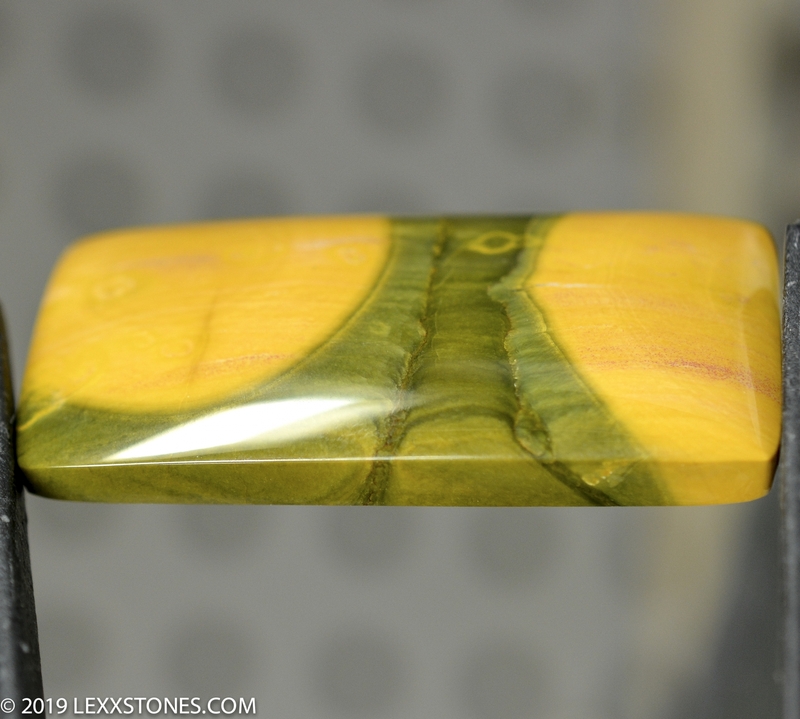 Here for your consideration is a wonderful Royal Imperial Jasper Cabochon. 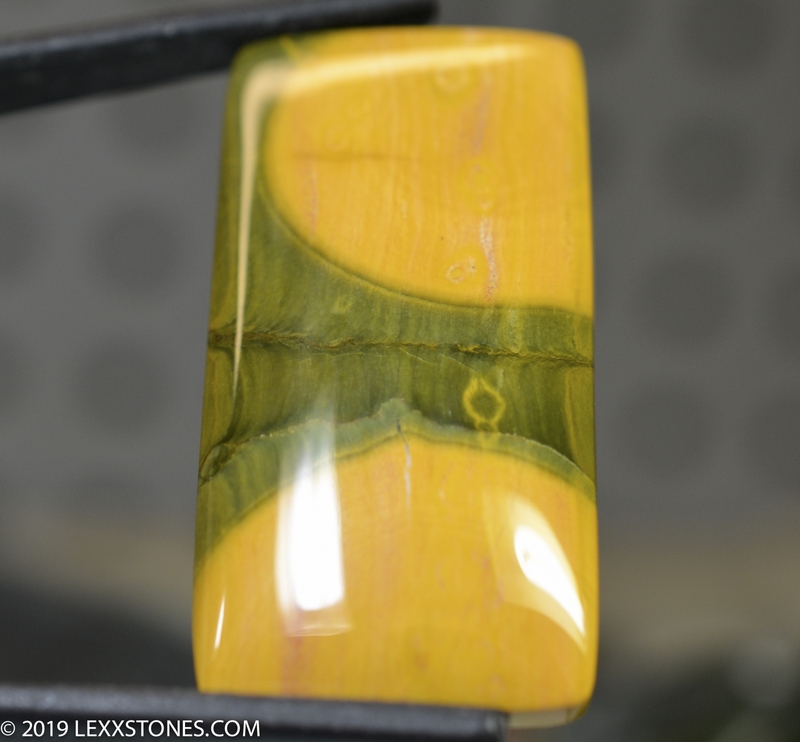 Imperial Jasper is considered to be one of the five fine jaspers. (The other fine jaspers are Bruneau jasper, Morrisonite, Willow Creek jasper and Blue Mountain jasper). It's usually found in small nodules around the Jalisco / Zacatecas area of Mexico, north of Guadalajara. 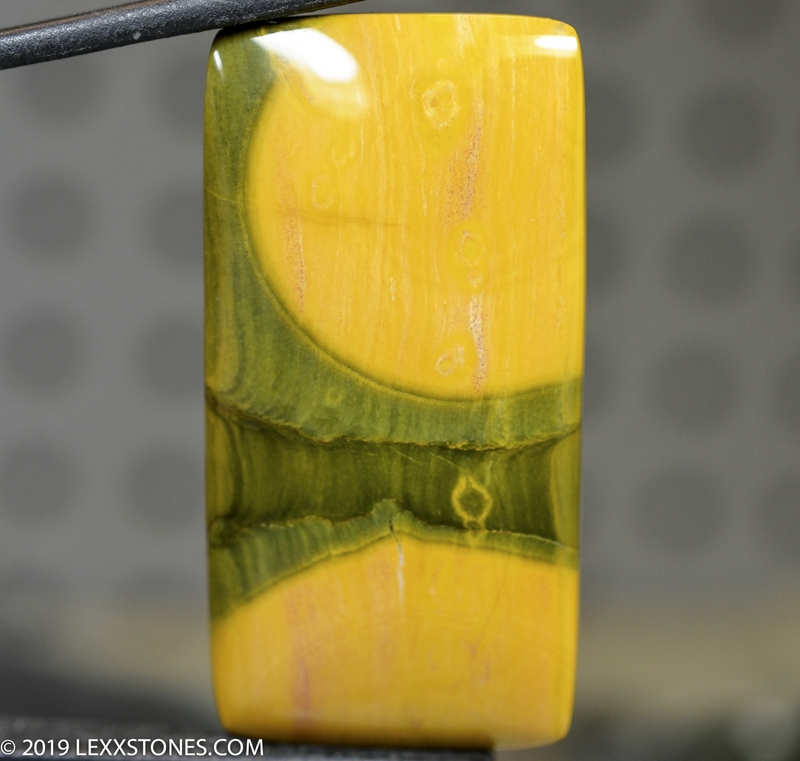 The subtle orbs resemble the colors of mustard and fresh greens. (In case you're wondering) The term "Porcelain" stands for rocks that form when ascending magma takes along fragments of clay and marl as inclusions and subsequently gets "fritted" at high temperatures. Standard radius dome. Vitreous polish front and back.